While living in Providence I spent a lot of time meeting artists and teens involved in making at New Urban Arts. 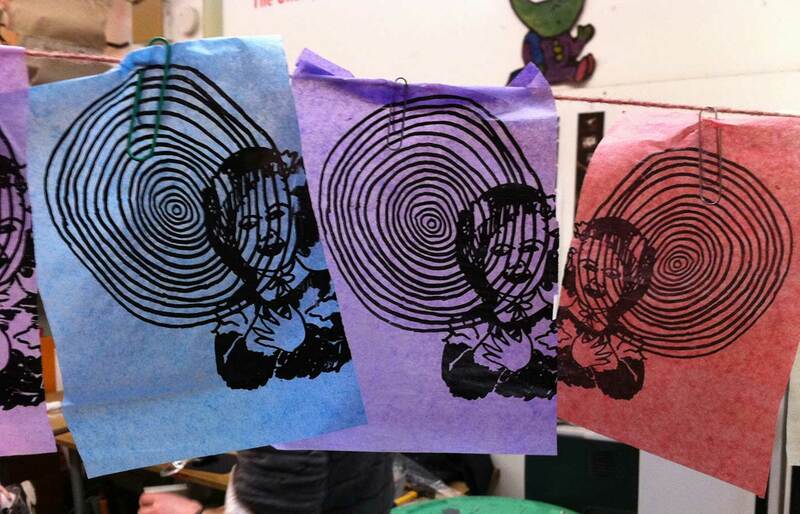 The studio was much more than an afterschool program, and much more than a maker-space. It was an open utopia with free admission for anyone seeking a space to explore ideas, or just to spend time with other people. Art is not only aesthetics. Art can be a window into reimagining our shared experience. Social Practice artists indulge in exploring the possibilities of altered reality; they experiment by convening social situations existing under new rules that re-examine popular assumptions. With a passion for museums, social practice art and community projects (and utopias), I have long been curious about the Walker’s experiment with Open Field. I’ve been exploring Sarah Shultz’s reflections and interviews in her book, Open Field: Conversations on the Commons. Since 2010 the Walker Art Center adopted the commons as a philosophical and programmatic framework for their open field in the summertime. Open Field is a public communal gathering space open to all community groups, artists, musicians for programs. Read more about it here. We need utopian thinking because without it, we are constrained by the tyranny of the possible. Look where realistic thinking has gotten us: a looming ecological crises that may exterminate life on the planet; and a state of normality whereby the rich get richer and more powerful, while everyone else gets poorer and more powerless. This is reality, and to imagine something other than this takes a bold leap. Meanwhile, critics of the status quo act as if criticism is enough, an appropriate response to the unfolding apocalypse that is now. They seem to believe that criticism itself will transform society. It’s not that easy. Criticism is part of the very system itself. By its condition, criticism always remains obedient to the present: the object it criticizes. That is, criticism is wed parasitically to the very thing it ostensibly wants to change. There is no transformative moment. Besides, liberal democracies such as ours need critics in order to legitimate themselves as liberal democracies; it’s part of the system. The political problem of today is not a lack of rigorous analysis, or a necessity for the revelation of the “truth,” but instead the need for a radical imagination: a way to imagine a world different from the world we have today.